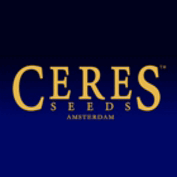 "PURPLE HAZE, ALL IN MY BRAIN"
The beautiful Purple from Ceres Seeds is a classic that is popular all over the world. It is a quick flowering variety that was developed for outdoor growing. Of course this plant would also do well indoors, under lights.